As hi-fi manufacturers go, Mordaunt-Short can be counted elders, having gotten their start in 1967. More than four decades and a few changes of ownership later, the company has kept its successful business model intact: producing high-end loudspeakers that are affordable, or at least obtainable, by most music lovers. 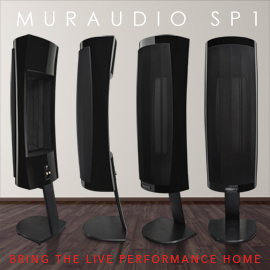 With its current stable of six families of speaker models, all designed to be used in both music-only and home-theater setups, Mordaunt-Short should have something for everyone. The Mezzo 8, a tower floorstander ($2495 USD per pair), is top dog in this kennel of six models. 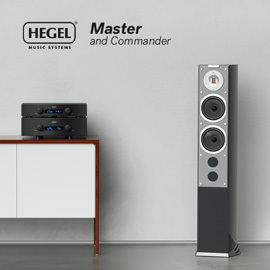 The other Mezzos include another tower floorstander, the 6; two bookshelf models, the 1 and 2; the 5 center speaker; and the 9 subwoofer. (There are no Mezzos 3, 4, or 7.) The Mezzo line itself slides in between the lower-priced Aviano series and Mordaunt-Short’s considerably more expensive top line, the Performance models. All Mezzo speakers are video-ready, being magnetically shielded, relatively easy for an A/V receiver to drive, and reasonably compact. My review samples came clad in Black Ash; Light Oak and Dark Walnut finishes are also available. The Mezzo 8 is a three-way design with two 6.5" woofers, a 5.25" midrange, and a 1" aluminum-dome tweeter. 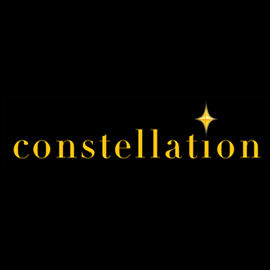 These drivers incorporate some pretty interesting technology, including Mordaunt-Short’s Continuous Profile Cone (CPC), anodized-aluminum woofers, which the company says ensure "controlled piston-like movement at low frequencies and minimal break-up at higher frequencies." 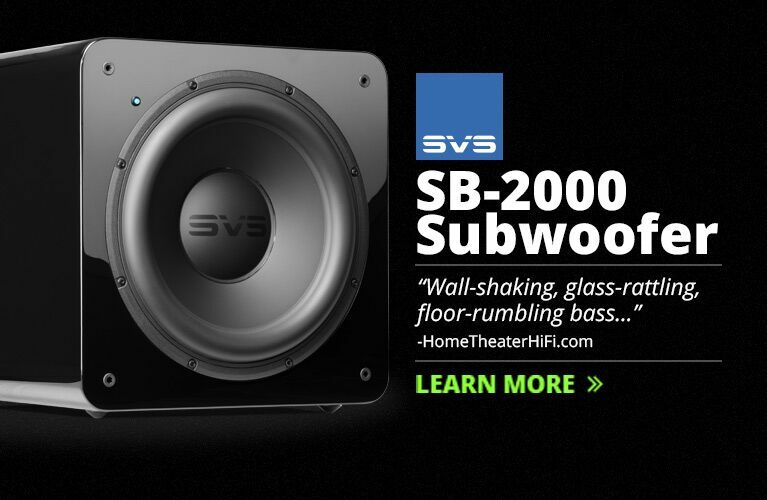 Superficial as it may sound, I must say that these woofers look good, too. Special attention was also paid to the woofer surrounds and driver baskets, which are deadened with elastomeric material. M-S seems particularly concerned that tweeters need to breathe properly, and so have come up with their proprietary Aspirated Tweeter Technology, developed for the Performance line and (so far) trickled down only to the Mezzo models. The tweeter is set into its own discreet, injection-molded enclosure, which is well ventilated by a series of nine angled tubes said to eliminate the colorations of sealed designs. The cabinet is pleasingly proportioned, with a nice, luxurious curve to the back, and is extremely well braced. M-S claims a frequency response of 35Hz-22kHz (no limits given), which suggests a fairly full-range speaker. They suggest that the Mezzo 8, with its claimed sensitivity of 89dB and nominal impedance of 4-8 ohms, be driven by a minimum of 15W to make it sing. 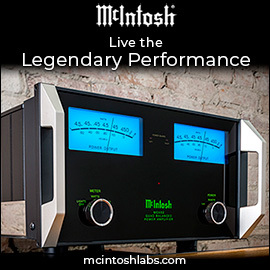 My 50Wpc integrated amp had no problem driving the Mezzo 8s to very high levels. Some assembly is required: A bottom plinth is provided, to increase the Mezzo 8’s footprint and thus stabilize its rather tall, narrow cabinet. The plinth is attached with three screws, which in turn accept four spiked feet. Rubber shrouds can be placed over the spikes to protect floors. I was impressed with the fit and finish of the review pair. The Mezzo 8 reminded me how far in the past are those days when even high-end speakers looked as if they’d been put together on someone’s kitchen table (recall Advent, AR, KLH, etc.). Every visible feature of the Mezzo 8 has been designed to be functional and pleasing to the eye. While the drivers of my Snell Acoustics EIIs look like what they are -- high-quality but commercially available components screwed into a well-assembled box -- the Mezzo 8’s drivers are proprietary and integrated into a singular design concept. The M-S speaker looked as good with its grille off as on, which can’t be said of the Snell. And if you’re into backsides, the Mezzo 8 bares its rear with pride. The two pairs of five-way binding posts, to permit biwiring or biamping, are beautifully shaped, as are the well-finished (and uninsulated), crescent-shaped bus bars connecting the plus and minus posts. My only complaint is about those four posts. Because they’re vertically oriented and alternate from plus to minus, more care than usual must be taken in connecting the speaker wires when the rather conspicuous bus bars are in place. 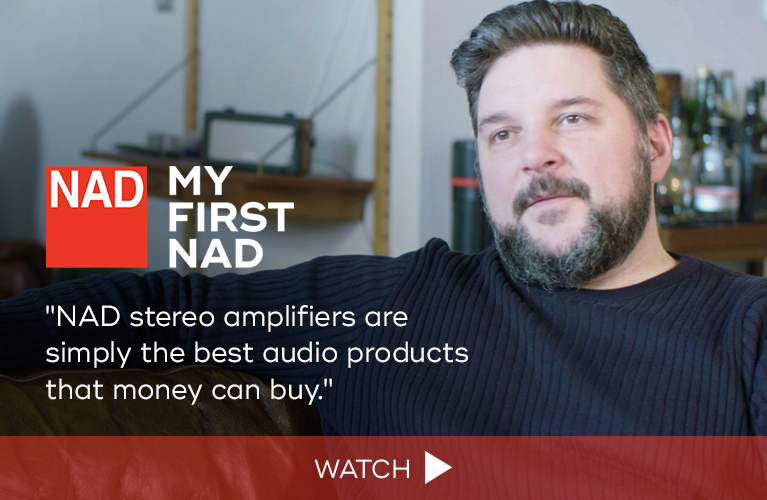 About a minute after I’d hooked up the Mezzos and begun listening, my NAD C 325BEE integrated amplifier went silent, its normally green pilot light now glowing red. Sure enough, I’d laid the positive lead to the right-channel speaker over the negative bus bar, and a bit of uninsulated speaker cable was making contact with it. Thankfully, the NAD’s protection circuitry had done its job. Still, the design of the Mezzo 8’s binding posts is clearly not foolproof; other amplifiers may not survive a similar experience unscathed. As recommended by Mordaunt-Short, I positioned the Mezzo 8s 6" from the front wall, and as far from each other as each was from my listening chair, their tweeter axes aimed at the chair. I noticed no difference in sound with the grilles on or off, so I left them on for the duration of my listening. Overall I got reasonably good imaging, good bass weight, excellent midrange detail, and smooth (if rather polite) treble, which was borne out by the in-room response curve I generated using test tones and my RadioShack SPL meter. Using 1kHz as the reference, the Mezzo 8s’ in-room response was ±6dB down to 60Hz and up to 10kHz. There was a dip of 11dB at 50Hz that I also get with my Snell speakers -- it seems to be a feature of my room -- but by 25Hz the Mezzo 8s were down only 6dB. This is a very respectable in-room response, especially as M-S makes no claim for the Mezzo 8’s response below 35Hz. Even at 20Hz the Mezzos were moving a lot of air, being down only 15dB. Up top, the SPL meter showed a smooth reduction in energy beginning at 10kHz; ultimately, due to the absorptive nature of my room, the response was 22dB down at 20kHz. But let’s run a reality check: I am a man of a certain age who can’t hear much of anything above 15kHz. In general, women and young children can hear higher frequencies. However, it is debatable whether sounds that are musical even exist at frequencies approaching 20kHz. But enough with test tones. Let’s hear some music. Frank Sinatra reserved some great material for his debut on Reprise Records, the label he founded in 1961. With Johnny Mandel working up the arrangements and leading the orchestra, the master of the musical phrase sails through some of the best songs in the American popular-music songbook. While he does justice to many composers on Ring-a-Ding Ding! (LP, Reprise R-1001) -- including Jimmy Van Heusen, Sammy Cahn, Harold Arlen, Irving Berlin, the Gershwins, Jerome Kern, et al. -- I always thought Sinatra had a special affinity for Cole Porter, as borne out here in his top-shelf rendition of "In the Still of the Night." The Mezzo 8 captured Sinatra’s voice in all its artistry. His middle-aged baritone is light (Sinatra began recording the album a week after his 45th birthday), while the band has a fabulous bounce. Every masterful stretching for a note up or down was clearly presented. This was one agile loudspeaker. The Mezzo 8s could also throw a very wide soundstage, which made this mono recording sound almost like stereo. I had to check the label to make sure. Cat Stevens’s Tea for the Tillerman (LP, A&M SP4280) and his subsequent album, Teaser and the Firecat (LP, A&M SP4313), are wonderfully delicate and "earthy" recordings, by which I mean acoustic instruments: guitar, double bass, drums, congas, strings, and bouzouki (!) are presented in dynamic, clangy, jangly splendor. Bass was especially strong, organic, and lovely in "Hard Headed Woman." I’m always impressed by equipment that can not only give me an unmistakable sense of an instrument being played, but also of how it is being played. I got this in spades from the Mezzo 8s playing Blossom Dearie’s eponymous 1956 album (CD, Verve 837 934-2), in which I heard all the string noises, buzzes, quarter tones, and other indications that a human being -- in this case, the great double-bassist Ray Brown -- was making these sounds. The Mezzo 8s were realistic in their imaging chops, giving me a very accurate aural construction of the Kodály Quartet playing Debussy’s String Quartet (CD, Naxos 8.550249): four musicians sitting in a tight semicircle contained within the inner edges of the left and right speakers. The Mezzos were also very good at differentiating the size and character of each instrument, and did special justice to the viola, which, through lesser systems, can too easily be confused with the cello or the second violin. Although I mentioned a measured (and audible) recessed high treble, the range of tonal frequencies the Mezzo 8 could reproduce was considerable, and handled superbly. The lovely ringing chimes in Jupiter, from Charles Dutoit and the Montreal Symphony’s recording of Gustav Holst’s The Planets (CD, London 417 553-2), did not decay as quickly through Mezzos as through other speakers I’ve heard, and the organ-pedal notes at the end of Saturn were strong, solid, and controlled. The Mezzos did the low stuff very well. 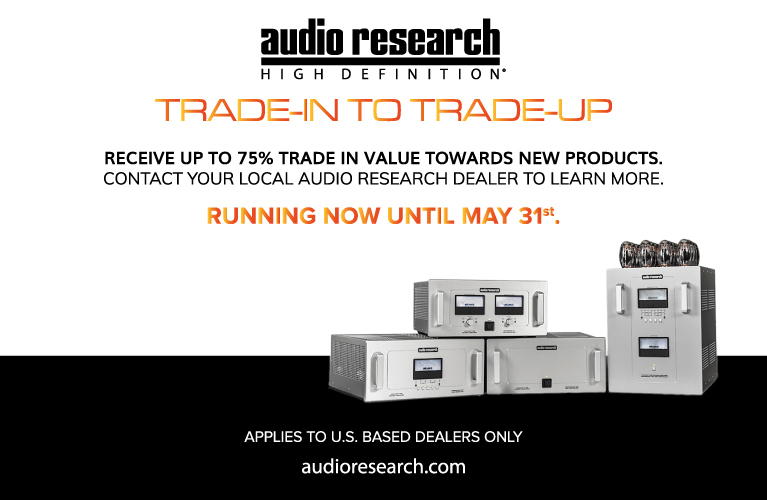 When I got started in this crazy hobby back in the 1980s, it was almost a truism that audio gear -- especially loudspeakers -- had to be cosmetically challenged before true high-end believers would find them credible. Such an attitude was not entirely devoid of logic, if it is assumed that the makers of such speakers devoted most of their limited R&D resources to what affected the sound and left the rest more or less to chance. What red-blooded audiophile would have a problem with that? 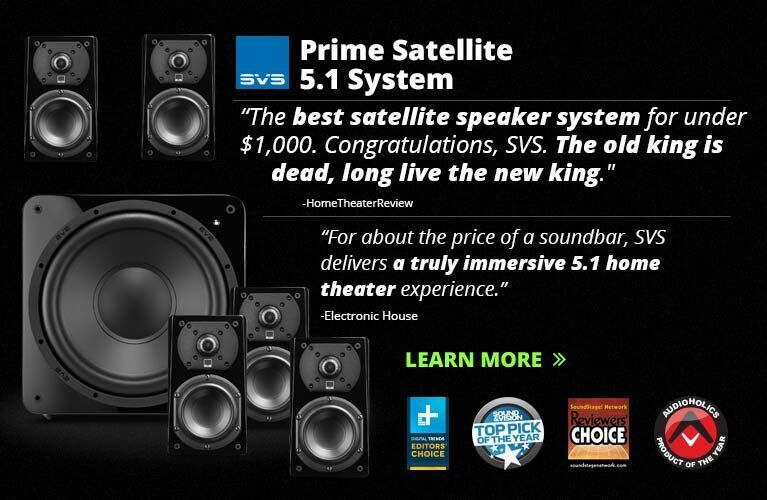 Evidently, the pull of the once-mighty home-theater market changed that practice for good. 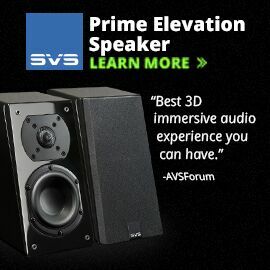 Now high-end audio components must look and sound good. The Mordaunt-Short Mezzo 8 is a result of this shift in thinking. There is no question that it looks the part of a modern, good-looking loudspeaker, but the Mezzo 8's performance is really the key to its success. Twenty or 30 years ago, given its sonic excellence, such a speaker would have been boxy, ugly, perhaps hard to drive, and yet would still have been proudly displayed in the listening rooms/man caves of discerning audiophiles. Thankfully, times have changed for the better. Recommended! Price: $2495 USD per pair. 156 Lawrence Paquette Industrial Dr.